Forgiveness can be such a double edged sword. Say there is a certain person who has done something which seems pretty unforgivable. We've all been there, and although we may say we forgive them, we also may say that we will never forget. This is where that double edged sword comes in. In order for forgiveness to actually work, it has to be unconditional. OUCH!!! I have to be honest with you. When I started thinking about this one, I knew that I was going to have to put on my big girl pants, because I have been so cavalier about saying "oh, I have forgiven so and so" while actually holding the world's biggest grudge. Forgiving without forgetting just prolongs the pain. No wonder I have been feeling such a big OUCH!!! When you stop and think about it being unforgiving isn't hurting the other person at all. The fact is the only person who is feeling the pain is you. The only way to stop the OUCH!!! is to forgive and to let it go completely. Of course, while I have been sitting here comfortably in my chair, holding my petty grudges, I have expected everyone else to forgive me. OUCH!!! I know that I personally have a lot to work on with this weeks topic. So I'm wondering. How are you with forgiving and forgetting. Is it something you do easily, or are you like me and need to work on it. Grab your favorite beverage, put your feet up, and let's chat. If this is your first time here, we are so happy to have you join us. P.S. To read past posts on Women Speak just click here. All you have said here is so true and hitting the right cord as far as I am concerned. I'm ashamed to say that there are still some people I haven't really forgiven since I haven't still forgotten what they did. Another sad thing is that there are things I haven't forgiven myself. So it is all so messed up. As you said, it is painful to be like that and I am working on it. I have a long way to go though. But I want to feel better, so I have no choice. I need to forgive and forget. And I need to forgive myself as well which is going to be the hardest part. Anyway I'm sorry for starting the comments with a not so funny one. I am so happy that you shared with us. Don't ever feel that you need to apologize for stating your feeling. The purpose of this forum is for it to be a safe place where we all can share. Forgiveness is such a hard thing to do. I struggle with it every day, and yes it can be very difficult to forgive ourselves, but we need to find a way to do just that so we will be mentally healthier. I do hope that you are able to start by forgiving yourself first, sweet friend. My counselor shared a book and process with me that changed my life. "Radical Forgiveness" by Colin C Tipping. When we hold onto our grudges we are only hurting ourselves as most people who have hurt us have already moved on and forgotten. He has an online work sheet that helps you go through the process of forgiving. Check it out. Thank you. I will. When you talk to most people about something they did that hurt you, they have usually forgotten it. You are right that we are only hurting ourselves. I do believe though, that if there are people who continue to hurt you it is best to forgive and then move on without them in your life. I think this is the hardest thing to make others understand - you can forgive and move on with your life without that person who has consistently hurt you being in it. People automatically assume you haven't forgiven someone when you cut off contact with that person, and that simply may not be true. That person may just be too toxic to have in your life, and self-preservation is necessary. We don't like to admit it, but there are people out there who enjoy inflicting pain; and they must be removed for our own safety and/or sanity. It can be difficult to remove people from our lives, especially if they are relatives, but we have to learn that our well being is what is most important. It is not selfish to take care of ourselves. Forgiveness is a big part of that process, but we must often move on to maintain a safe environment. I've been commenting on your subscribed posts I get in my email, but then it occurred to me that I don't know if you get them that way. I will tell myself I forgive, but I know when I have not. I don't think "forgetting" is really an option. There must be something in between. I don't get those for some reason. I think when we see ourselves as not forgetting, we see it as a way for providing protection for ourselves. Unfortunately, we are just holding onto the pain as if it is a blanket. I am very guilty of this, and believe me it is not serving me well. Now when we are still being hurt by someone, we need to find a way to leave that situation. You and I have talked about my current situation with a family member. I am working hard to get away from it, but it will probably be another year. I heard this quote years ago and think it is absolutely true: “Any fool knows men and women think differently at times, but the biggest difference is this. Men forget, but never forgive; women forgive, but never forget.” It makes me crazy at times how my husband simply moves on. He doesn't have to chew on it, and gnaw on it, and put it down and then do it all over again 100 more times like I do. 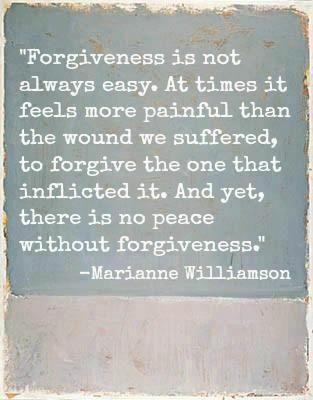 I absolutely agree that forgiveness is the key to self-peace. I also know it is about the hardest task to accomplish. 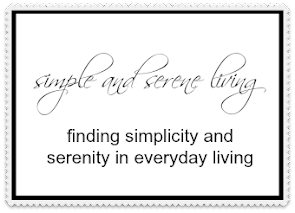 When we are fretting over something, that person then has all the power and we are left struggling. And the funny thing is that they likely don't know a thing about our struggles as they probably have forgotten and just moved on. Forgiveness is the best medicine, and allowing oneself to forget is the reward. Great topic!! Yes, this is definitely something I have trouble with. I do hold grudges and often won't forgive someone unless they apologize. If they don't apologize or act like they even knew how hurtful they were, then I don't want to associate with them. I will probably always hold a grudge for certain things that can't be erased, but I have learned to move on and feel like it hasn't ruined my life. If anything these things teach me how "not to be". I won't do or say that same thing to someone else. I think you have made a very valid point about learning from hurtful things, Kelly. I am learning that when people don't or won't apologize it is their problem, not mine, so it makes it all the more important to forgive them. You only need to forgive them in your own heart, because after all it is for your well being. They have their own path to follow. 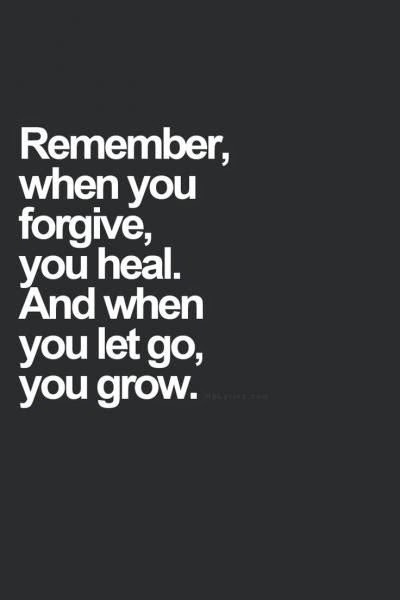 I agree but have a different take on the "forgetting" aspect of forgiving. There are things that one cannot forget, no matter how hard we may try. If a child is killed by a careless driver, or a doctor's negligence ends the life of a loved one, or we are battered as a wife, or emotionally abused by those who claim to love us ... I would think that all of these injustices and tragedies would be impossible to forget, but I do believe there comes a point when after you've forgiven the injustice, and the person who is responsible, that, as you say here, you have to "let it go." I don't think that is, necessarily, forgetting it, but for me it's choosing not to dwell on it and not holding the action against the other person, not wishing any harm or ill will toward them. I think letting go is absolutely an aspect of forgetting, Dayle. We absolutely can't force ourselves to put something out of our memories, but we can choose not to dwell on it. I was the victim of abuse. I have forgiven and moved on. I know it happened and I have dealt with it, but then I chose to let it go. I think you mean forgetting in the sense that we no longer let the offense control is. Forgiveness is a lot easier when we stop to look within ourselves for a moment and reflect upon the fact that we've also been guilty of hurting others and we too need and have needed forgiveness in our lives. Exactly. That is why I used the first image. It is about letting go, and yes we all need forgiveness. So we need to remember that when it is difficult to forgive others. I have always been amazed to see mothers go to a prison to forgive the person who killed their child. What inner strength that takes, and what a healing act it must be for the mother. I am not sure if I could ever do that, and hope I will never know, but I would like to think that I could find forgiveness in my heart. It does make sense. If we still have a relationship with that person we need to of course not allow them to hurt us in the same way again. That is why we sometimes have to let relationships go, because the other person will keep on trying to hurt us. Hugs, my friend.